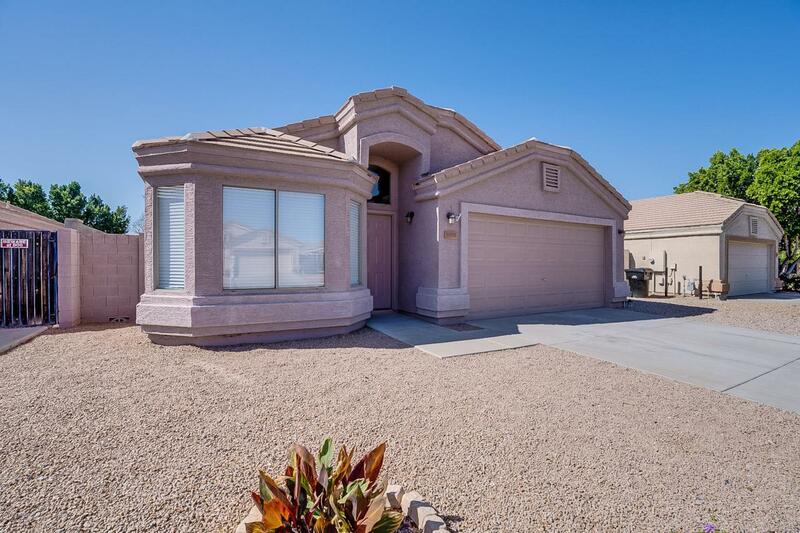 **MOVE-IN READY** Remodeled 4 bedroom single story in North Mesa with mountain views and superb freeway access has everything you need! 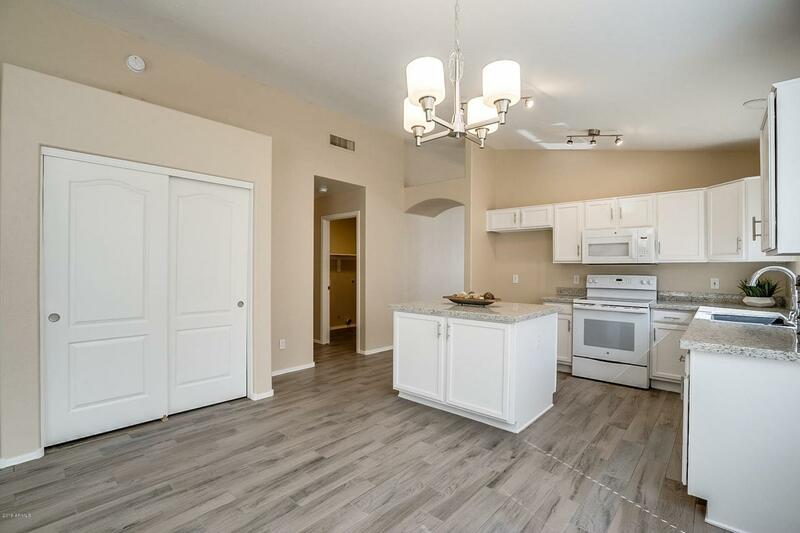 4 bedrooms, 2 baths, 2 car garage features a bright, open floor plan, vaulted ceilings, master w/exit, lovely grass yard on automatic sprinklers, a beautiful kitchen w/modern white cabinetry and pulls, new appliances, granite, composite sink, kitchen island w/storage, b/i microwave and pantry. 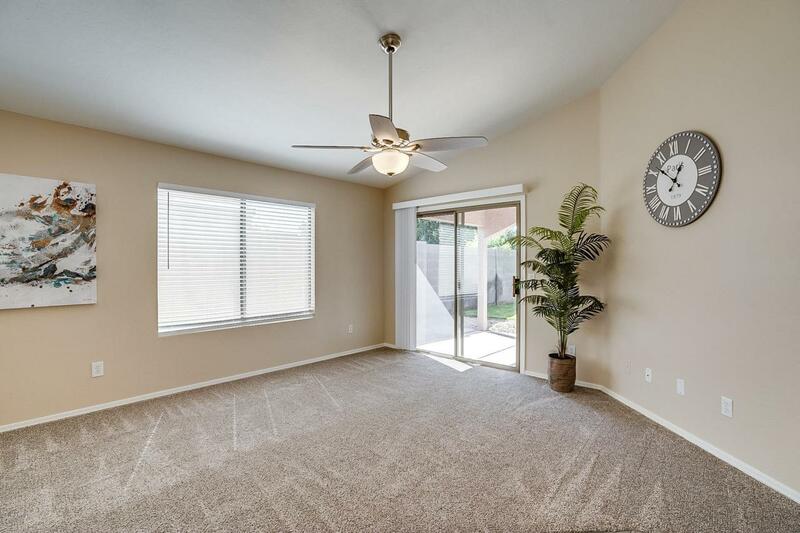 Plank tile and new carpet throughout, new fixtures and fans all with LED 10+ yr bulbs. 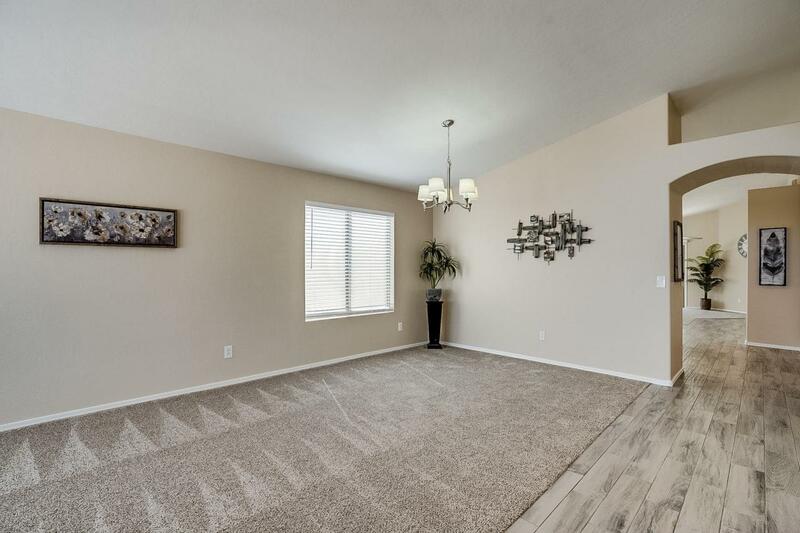 This secluded neighborhood features all single level homes, no through streets, children's play area, mountain views and freeway access to the entire Valley is only 1.5 miles away!